Go to toilet more than 8 times in a day? Get up night to pass urine more than twice? Drink less than cups of water per day? Go to toilet “Just in case”? Wet yourself when you cough, laugh, sneeze or exercise? Urgency to pass urine and leak before you reach the toilet? Maintain a good fluid intake, 8 glasses water or 2 to 3 liters per day. Maintain good pelvic floor muscle tone. Try to go only when your bladder is full and when you need to go. Don’t go to toilet “ Just in case” as this may result in small capacity (unless you are going on a long trip or just before bed). 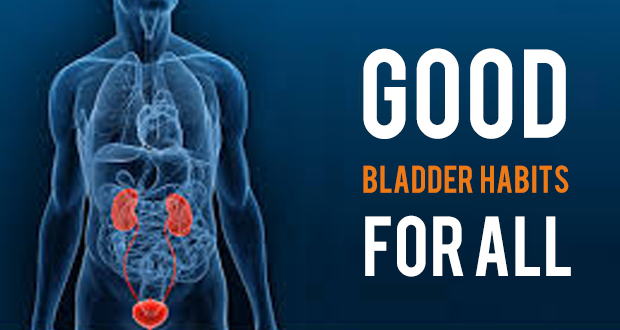 Normal bladder should be able to hold up to 400-500ml of urine. Take time to empty your bladder so that it empties completely. Being in a rush may lead to incomplete emptying and predispose you to urinary infection. Make sure you sit on the toilet seat. Do not strain.